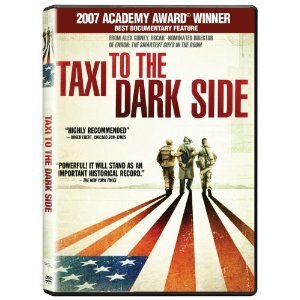 TAXI TO THE DARK SIDE, the latest prize-winning documentary from Oscar-nominee Alex Gibney, confirms his standing as one of the foremost non-fiction filmmakers working today. A stunning inquiry into the suspicious death of an Afghani taxi driver at Bagram air base in 2002, the film is a fastidiously assembled, uncommonly well-researched examination of how an innocent civilian was apprehended, imprisoned, tortured, and ultimately murdered by the greatest democracy on earth. Intermingling documents and records of the incident with candid testimony from eyewitnesses and participants, the film uncovers an inescapable link between the tragic incidents that unfolded in Bagram and the policies made at the very highest level of the United States government in Washington, D.C. Combining the cool detachment of a forensic expert with the heated indignation of a proud American who holds his country to a high standard, Gibney's film reveals how the Bush administration has systematically betrayed the very ideals it professes to uphold.